Happy New Year, sewists! Today’s guest tutorial is by Melanie Rudy from Quilters… Enjoy Color! 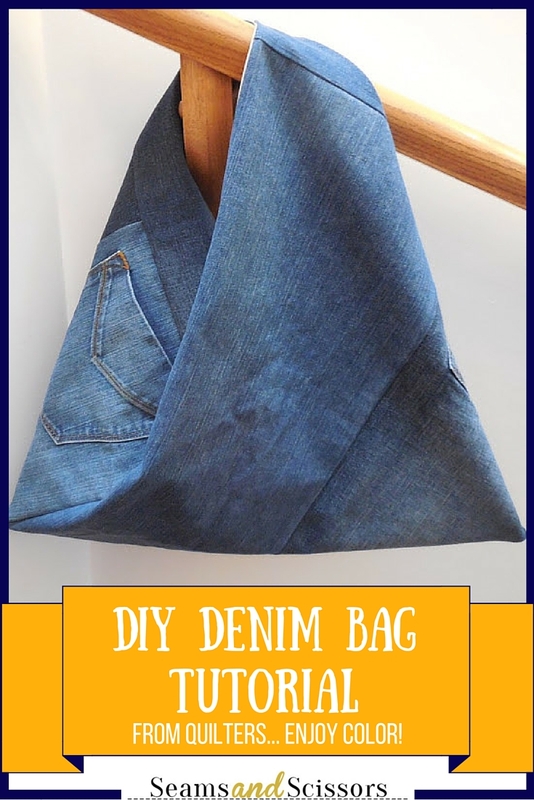 In the spirit of “out with the old, in with the new,” she’s been nice enough to share with us her how-to for creating this DIY denim bag from recycled jeans. 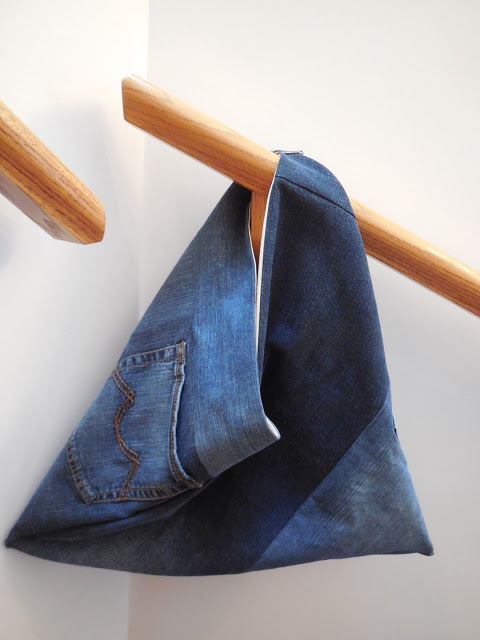 This is the perfect way to get some new use out of an old pair of jeans! Read on for her full tutorial. Start by breaking your jeans down into full lengths. 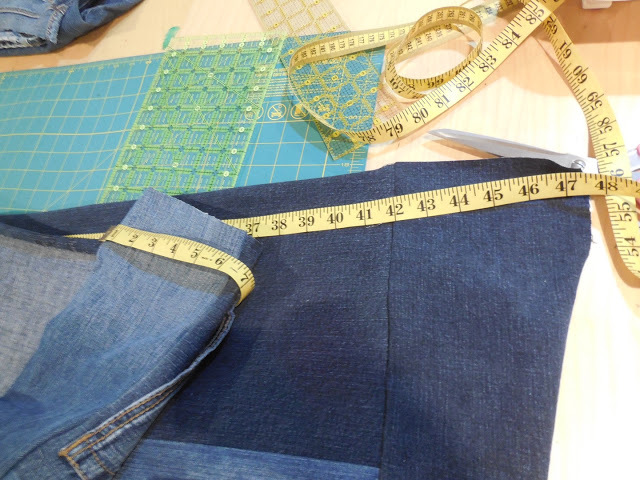 Trim off the waistband and hem. 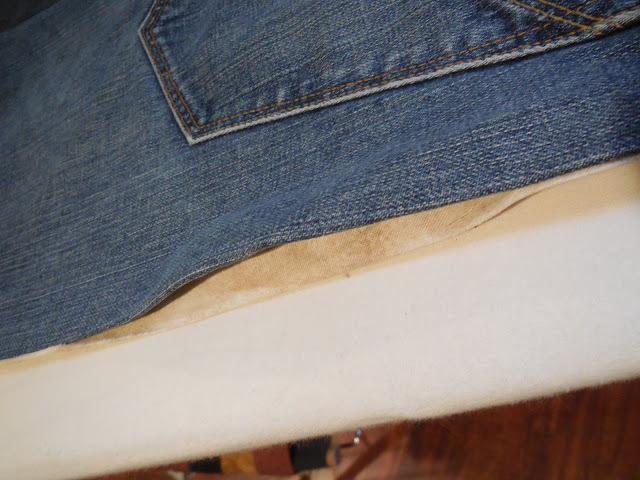 Trim off the thick seams. 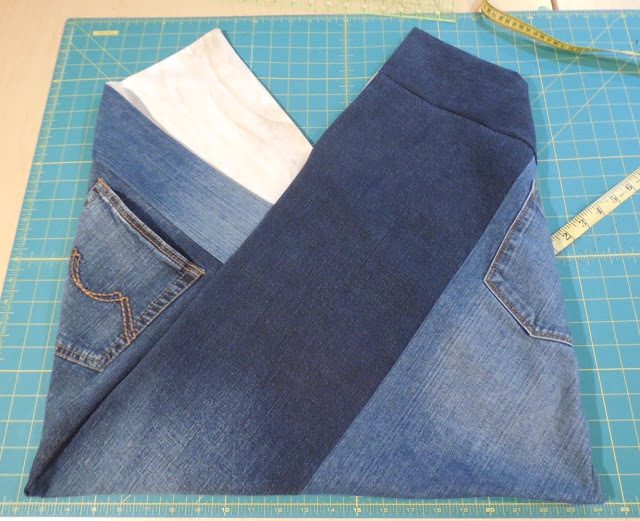 This bag can be made with 1 pair of jeans, but I have used 2 pairs to have variety in color. and a bit of extra denim from the front of the pants. Square up the pant legs to have long rectangle pieces of denim. Mine were 10″ x 35″ each. 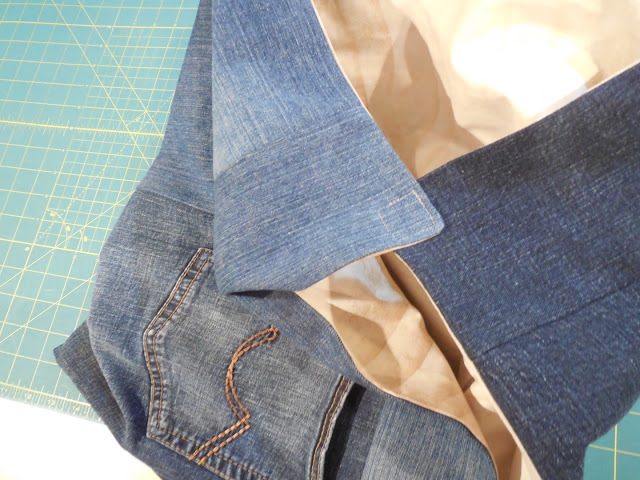 Sew 2 legs together, alternating the pockets. It is important to have a pocket at each end. to make a length of 47″. 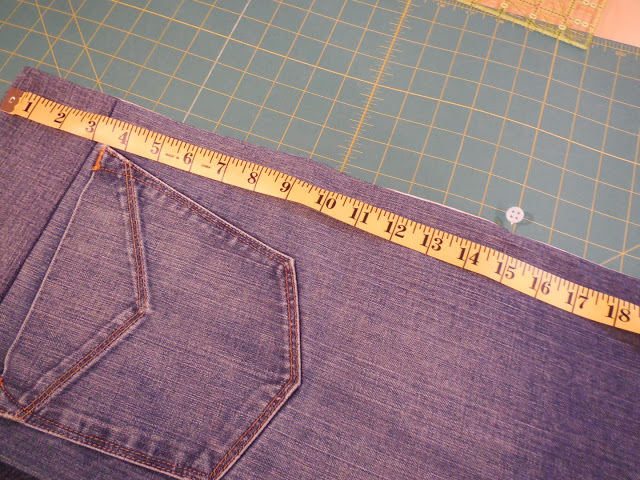 The final dimensions of the denim panel are 19 1/2″ x 47″ with a pocket at each end. 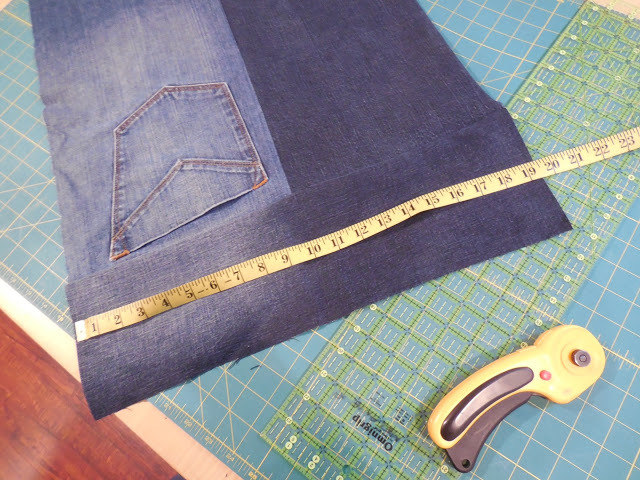 Trim your denim panel to 19″ x 44″. 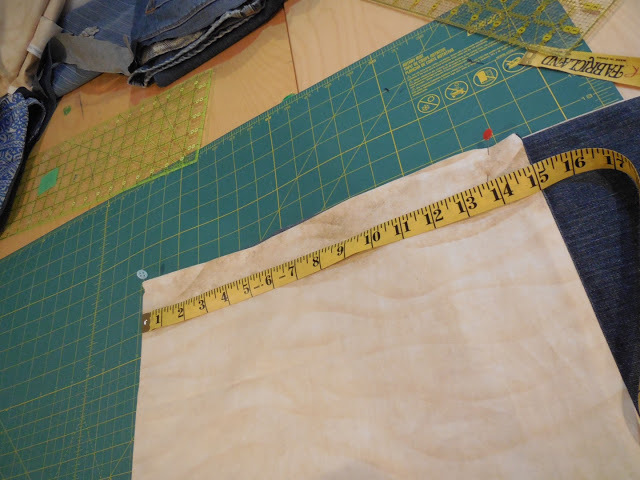 Cut a piece of lining fabric 19″ x 44″. leaving an opening for turning. Keep the opening towards one end near the pocket. 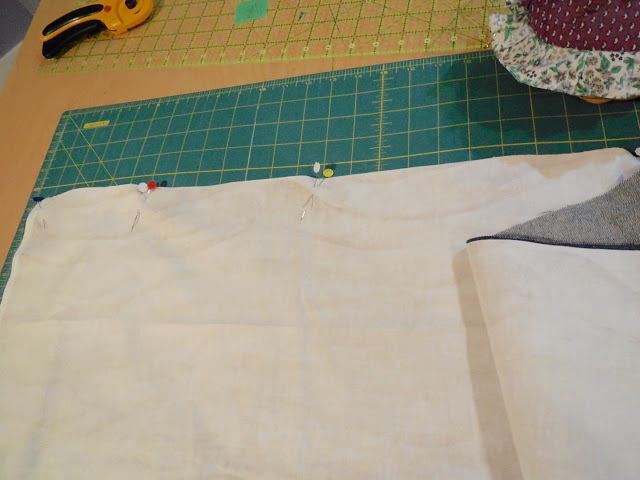 Tip: Mark using 2 pins at each end of your opening to easily see as you sew. Trim corners and turn right-side-out. Press edges all the way around the panel and press the opening edges under. 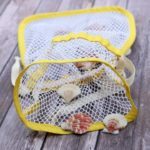 It is not necessary to sew this together as it will get caught in a seam of the bag. Pin mark 15″ from each end on THE POCKET SIDE. This will be the fold line for your seam. 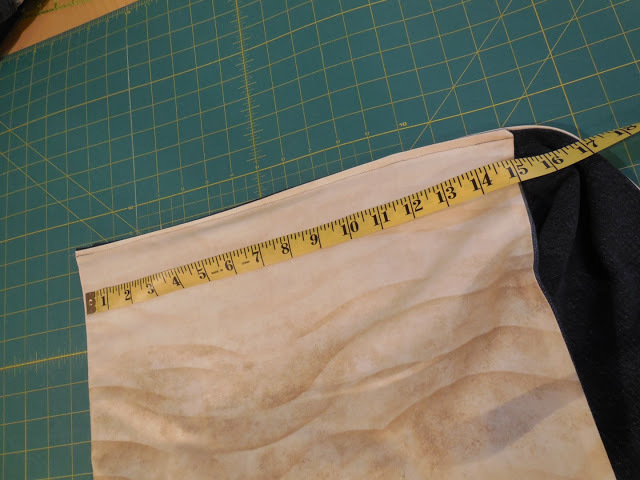 ON THE POCKET SIDE ONLY with a 1/4″ seam allowance. 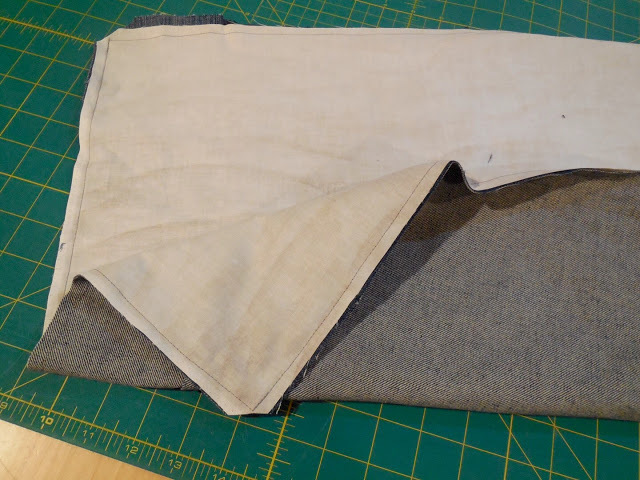 Note: You are only sewing on one side of the panel where the pocket is. Now turn up 15″ at the other end of the panel. 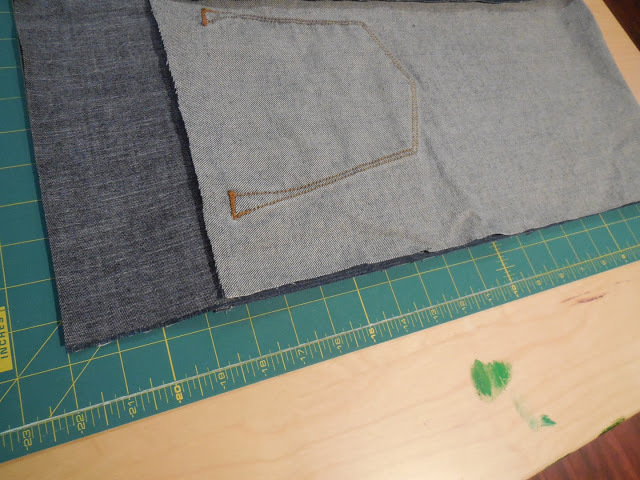 Sew right-sides-together with a 1/4″ seam allowance ON THE POCKET SIDE ONLY. This side is a bit awkward to sew as your triangle bag develops. Turn your bag right-sides-out and you have an awesome bag! Isn’t it fun? and sew together with a small square of stitching. 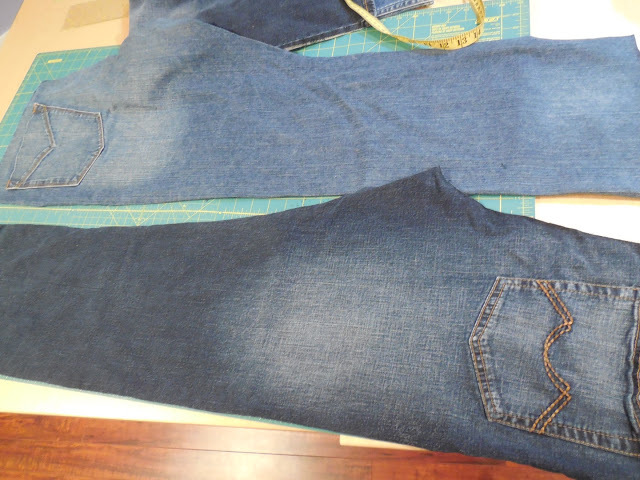 Have you ever made a project out of old jeans? 75+ Free Baby Sewing Patterns You’ll Adore!